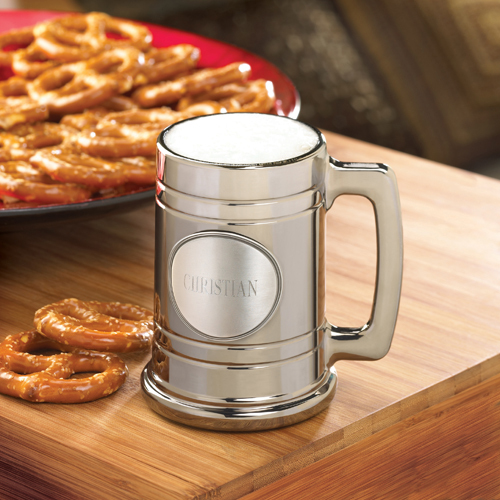 * Beer drinkers and mug collectors will love this unique metal-coated, personalized mug with pewter medallion. * Contemporary but with a classic feel, this personalized mug will hold plenty of your favorite brew and includes a sturdy base, slim handle, and sleek lines. 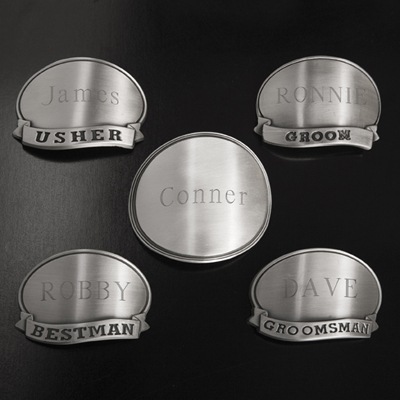 * Choose from our 5 medallion options. 5" x 3.75" x 3.75"